Every day offers young children an opportunity to explore the natural world. 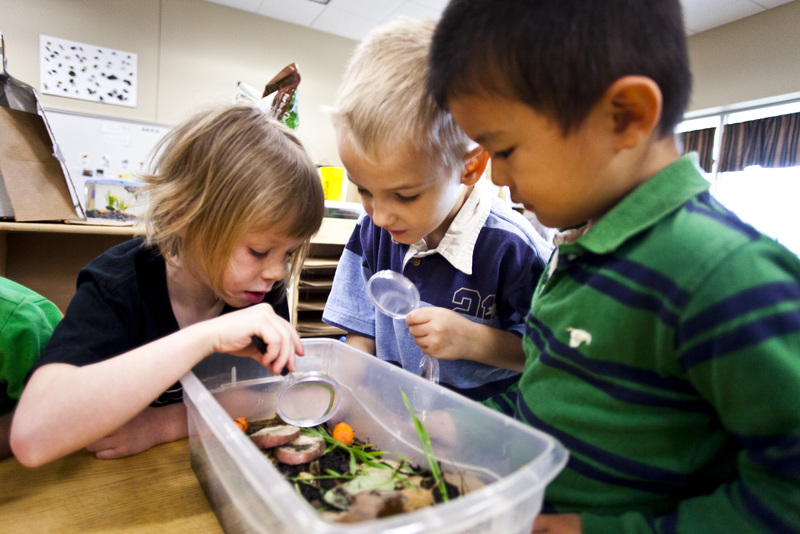 Nature play helps young children develop critical thinking and social-emotional skills. How can you incorporate nature play into your early childhood program? Debrah Jacobson, mentor coach, curriculum and instruction at Educare Denver, and Nicole Little, early childhood programs coordinator at the Denver Zoo, share their top nature play tips. Go outside every day. Children need daily time outside with nature to increase self-regulation, explore and develop gross motor skills. Practice getting messy with children and families. This will help them slowly increase their level of comfort with incorporating nature play into their lives outside of school. Create different ways for children to engage with nature. Go on class walks, investigate natural materials, have experts visit the classroom and expose children to new outdoor experiences. Look for insects on the playground. Use see-through bug catchers and have children observe and engage with roly-poly bugs, spiders and beetles. Educate families about the importance of nature play. Involve families in the experiences you facilitate for your program. Loose parts are just what they sound like: materials that children can manipulate (handle, carry, move, stack, count and arrange) and explore however they want. Even on a day where you’re stuck indoors or waiting for lunch to be served, you can create an opportunity for children to explore and play with the natural world. Some things you might consider letting children collect as loose parts include rocks, sticks, leaves, acorns, pinecones, seedpods and shells. Loose parts do not come with any instructions. Children decide how and when they are going to use these objects, encouraging their own creativity, decision-making and problem solving. You can use loose parts from nature to let children take charge of their own learning and play, and to help them feel comfortable with natural materials. Encourage your child to explore loose parts and observe how they use things a differently than you may expect. Children enjoy collecting their own loose parts and you may want to start them off with a collection of your own. Want to learn more about nature play? Check out how Educare Denver and the Denver zoo work together to provide nature play to preschoolers.